Siavush Randjbar-Daemi has joined Middle Eastern Studies at the University of Manchester as holder of the newly-created Lectureship in the Contemporary Middle East and Iran. His PhD thesis, which studies the institution of the presidency in the Islamic Republic of Iran, has been completed under the supervision of Professor Vanessa Martin at Royal Holloway, University of London. 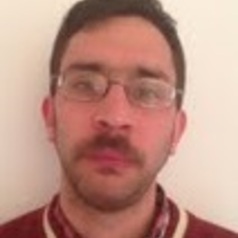 Prior to coming to Manchester, Siavush has taught Middle Eastern and Iranian history at Royal Holloway and at the School of Oriental and African Studies, University of London. He also currently serves as Book Reviews Editor (History) for the Iranian Studies academic journal.